Documentation and Research Project on the Indigenous/Traditional Medicinal Knowledge of the ethnic communities of Assam. A Survey Project titled ‘Study and Documentation of the Indigenous/traditional Medicinal Knowledge, ethnic medicinal plants and indigenous methods of healing of the ethnic communities of Assam’ was carried out by IRDIS under the aegis of the National Rural Health Mission, Assam and in partnership with five ethnic communities of Assam.The survey was carried out on the five ethnic communities , namely, the Amri Karbi, the Nath Jogi, the Singpho, the Tai Phake and the Tiwa communities of Assam and the final survey report was submitted to the office of NRHM, Assam on the 31st March 2014.The aim of the above Project is to document the Indigenous/ Traditional Medicinal Knowledge of the five ethnic communities including their knowledge of the medicinal plants in the vicinity of their habitation and also the knowledge of incorporation of these plants for preparation of medicines to heal the sick and diseased. Such knowledge is community and location centric and comes down from generation to generation through inter-generational accumulation and oral communication within the members of the respective communities. The communities have great knowledge of their environment, the medicinal uses of their indigenous plants, shrubs and herbs in the vicinity of their locations, their traditional method of preparing medicines from concoctions prepared from such medicinal plants, shrubs and herbs and also the knowledge of the conservation of their environment through many traditional and customary ways. The project will lead to the study of the relationship between the ethnic communities and their environmental resources including plants indigenous to the respective communities which have medicinal as well as other uses and the knowledge pertaining to these resources. This project will create an ethno-botanical data base with a focus on ethnic medicinal plants and herbs; The documentation of medicinal plants in Assam has been carried out by many research scholars and centres in the past and their findings have been documented in manuscripts, books, research papers etc. However IRDIS’s goal in this project is to conduct research and documentation on the indigenous / traditional medicinal knowledge ‘inherent to the different ethnic communities of Assam’, for the preservation of this ethnic knowledge for the researchers, scholars, and the communities with due recognition to the respective communities. ‘Tiwa Culture and Traditions – Documentation and Data Collection’ under the Scheme “Safeguarding the Intangible Cultural Heritage and Diverse Cultural Traditions of India”, Ministry of Culture, Govt. of India. IRDIS in collaboration with the Tiwa community is implementing this culture documentation project in Morigaon and Karbi Anglong districts of Assam and in the Ri-bhoi district of Meghalaya. This is an on-going project.The “Tiwas”, earlier known as the Lalungs, constitute one of the prominent Scheduled Tribes of Assam and they are spread over the plains districts of Morigaon, Nowgong, Kamrup, Dhemaji and in the hill district of Karbi Anglong of Assam, and in the Ri Bhoi district of the State of Meghalaya. 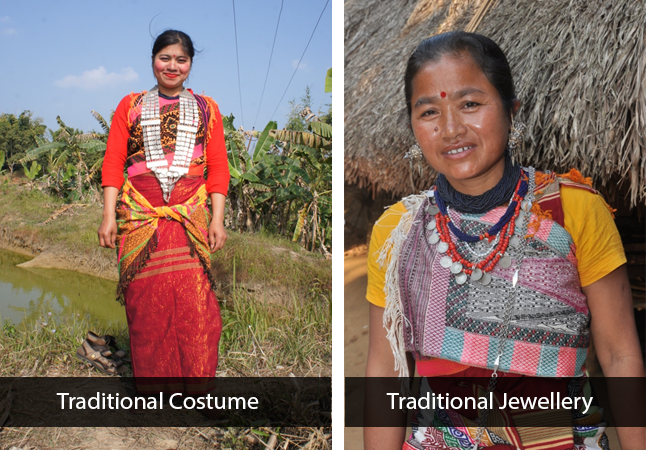 This initiative focuses on the rich and diverse cultural traditions of the Tiwa community by way of documentation and data collection in collaboration and in partnership with the elderly, youth and womenfolk of the Tiwa community residing in Assam, Meghalaya and Karbi Anglong. The goal of the project is to document their culture, beliefs , customs, oral traditions and traditional knowledge which have been communicated from generation to generation and which have been threatened and on the verge of dying out with the passing of time. IRDIS’ endeavour to create a holistic culture documentation and data base to raise awareness and to preserve the various aspects of Tiwa culture will be beneficial not only to the Tiwa community but also to the researchers, scholars and the social scientists of the world outside of the community. Such an endeavour would also spiritually and emotionally uplift the community and engender a sense of pride and unity at having their culture being portrayed to and recognised by the world outside.